Temperature : Max 19° C & Min 11° C. In Summer. Max 17° C & Min 8° C. In Winter. Best Season : April to June And September to October. 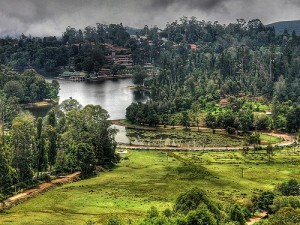 Kodaikanal is one of India’s most beautiful hill station at a height of 2133 mts. above sea-level is said amidst the wooded slopes and ‘Shola’ forest of the ghats, making for a very pleasant climate throughout the year. This hill resort is known for hill plantains and plums. Several varieties of flowers abound here, including the Kurinji, which blossoms once in 12 years. Kodai is frequented by tourists in large number throughout the year. Places of interest include Bryant Park, Pillar Rocks, Solar Observatory, Perumal Peak, Silver Cascade, Telescope Houses at Poaker’s Walk, Fairy Falls, Kodaikkanal Lake, Senbaganur Museum, Green Valley View, Dolphin’s Nose, the Beryam Lake, Kukkal Caves, Berijam Lake, Bear Shola Falls and Orchidorium at scared heart college, Shenbaganur. Very good trek routes are available. Khandala in Pune district is one of the hill station and popular mountain resorts in Mahashtra. Nestling in the Western Ghats, Khandala has serene and scenic surrounding and healthy climate. Air: Nearest airport is Madurai situated at a distance of 120 km. Rail: Kodaikkanal road station 80 km from Kodaikkanal is directly connected by rail to Kanniyakumari, Nagercoil, Thirunelveli, Madurai, Tiruchirappalli, Vishakapatnam, Chennai, etc. Road: Good motorable roads connect Kodaikkanal to Chennai, Coimbatore, Madurai, Palani, Periyar, Ooty, Tiruchirappalli. This entry was posted in Kodaikkanal, Tamil Nadu and tagged Hill. Bookmark the permalink.